One of my co-workers today was talking about using avocado in her hair… of course, my opinion is that the only place for avocados is in my tummy. After that meeting, all I was thinking about the rest of the day was how much I wanted avocados! Luckily, we had two at home, so I made guacamole. 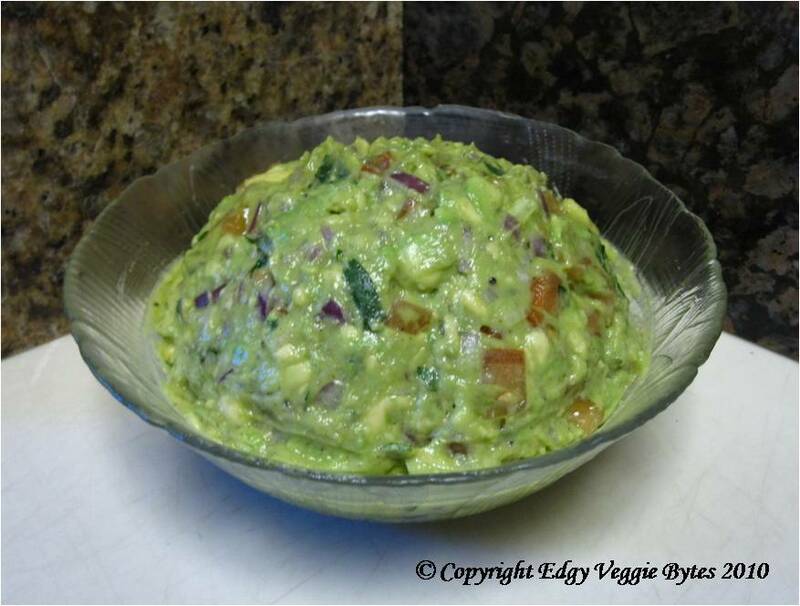 Guacamole is one of my favorite ways of preparing avocados aside from eating them with just a little lime and salt on top. 1. In a serving bowl, mash the avocados a little less than your desired consistency. (Leave them slightly less mashed because tend to get more mashed when you mix everything together). 3. Cover tightly with cling wrap until you are ready to serve to keep it from browning.